I have been planning to visit the historical and century old churches in Pasig and the province of Rizal and the plan became a reality; today is the perfect day and the perfect season. It is my Visita Iglesia 2018 in a backpacking style. 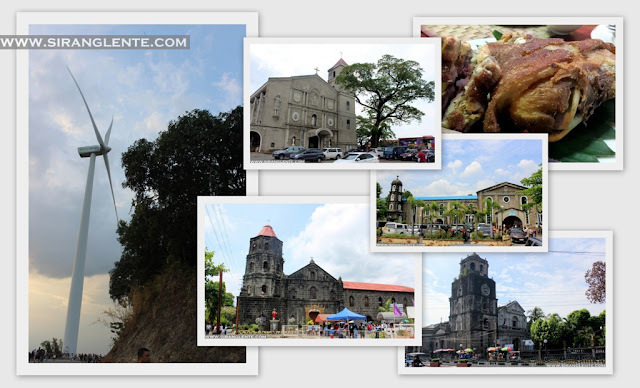 My itinerary started from the oldest church in Pasig, then the oldest Marian church in Cainta, St. John the Baptist in Taytay, and stunning Tanay Church with Baroque architecture. And to close our good Friday adventure, we visited the gigantic Pililla Wind Farm, also in Rizal. Since I am from Cainta, it was just a jeepney ride to Pasig Palengke. Then, a 10 minutes walk to Pasig Church. Traveling during the holy week is always been excellent because the roads and streets are clear - no heavy traffic. Tumaas lang talaga hairline ko sa banda ng Cainta dahil sa mga prusisyon at Senakulo sa bawat kanto ng mga kalsada. But, the entire during was okay! Pasig Church was established by the Augustinian missionaries in 1573. Like the other old churches in the Philippines, it served as the military defense and headquarters during the British occupation in Manila from 1762 to 1764 and its belfry was used as the watchtower. I was stunned by its old looking belfry that is covered with mosses and bricks. Today, it is one of the tourist spots and attractions in the City and one of the best destination for Visita Iglesia. Its location is situated by the intersection and is in front of Plaza Rizal, very accessible from Pasig City Hall. My next destinations was Cainta Church, with Renaissance revival architecture. The original structure was first constructed in stone by Father Gaspar Marco, a Jesuit, in 1707. In 1853, the church was damaged by earthquake where the roof and one wall collapsed and in 1899, the church and the entire parish were burned. In 2007, Cainta Church was declared as historical site by the National Historical Commission of the Philippines because of its significant role during the Philippines-American War. During my visit, the facade not accessible because the gate is locked which is inside Cainta Catholic College. 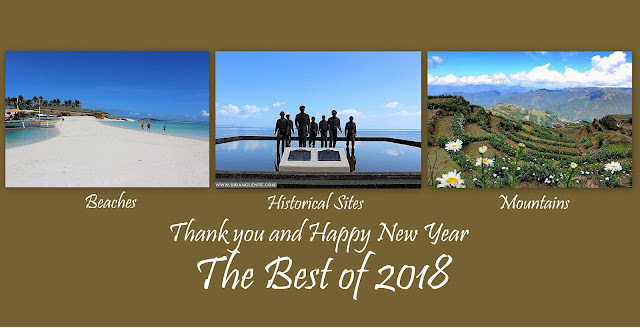 Next was Taytay Church - its structure was built in 1579 using light materials near the shores of Laguna de Bay and was transferred to a higher location on a hill, the present spot. As far as I can remember, I visited this church five years ago and the appearance of its facade is different, today, it is more clean. The interiors are stunning in gold and the ceiling is really high. Please see the video below, or click here. Nearby are buildings of Bureau of Fire and the Municipal Hall. How to get to Taytay Church: From Cubao, near SM, you can ride a jeepney with Cainta sign board and alight at the entrance of the church. You can also take those jeepneys with Angono sign board and alight in Junction. Tanay Church - it was established in 1573 by two Franciscan missionaries. The construction of the church started in 1773 and was finished in 1783. It was declared as the National Cultural Treasure Church by the National Commission for Culture and the Arts. I was really speechless while standing by the facade and looking on the stunning dark bricks. Had my research and found out that it was designed by the native Tanay artist. How to get to Tanay Church: From Cubao, near SM, you can ride a jeepney with Cainta/Angono sign board and alight in Junction. There, you can ride a jeepney to Tanay Market. After Tanay Church, I met my friends in Jollibee Tanay and had our lunch. From there, we rode in a tricycle to our friends house in Pililla. Rested for two hours and waited for the sundown. Then, proceeded to our next destination - the gigantic Pililla Wind Farm. So, from Isiong's residence, we chartered a tricycle to Pililla Wind Farm; it is less than 30-minute travel. We were five in the tricycle and traveling on an uphill highway was a bit challenging, though, the roads are concrete. I can't forget when I was making kaway to the people on the roads and the other pasaheros in their sasakyans; our trike driver was laughing while he was driving. On the viewing deck, the wind is cool, the ambiance is relaxing and there's a clear view of Laguna de Bay. There are 27 wind turbines stand on top of the sloping hills at 300 meters above sea level. This wind farm is situated on 4,515 hectares highland area in Brgy. Halayhayin, Pililla, Rizal. It is the first wind farm in Luzon that is outside Ilocos Norte - the famous Bangui Windmill. After Pililla Windfarm, we went back to house, prepared and had our dinner; the next was the prusisyon. Ang sabi kasi, kumain daw muna kami, kasi nga mga gutom na. Tapos ayun, matapos kumain, namalayan nalang namin na sa 48 na ginayakan at ipinaradang mga santo, nasa 12 lang ata naabutan namin, tapos uwi na! Galing diba? Then, socials, kwetuhan, at kung anu-ano pa. May mga dramahang mga nagyari. And rested! Like what I've mentioned, the next day, we were just sleeping; our itinerary includes eating, sleeping, eating, sleeping, and had dinner at Rock House Restaurant in Tanay. The area is really unique. 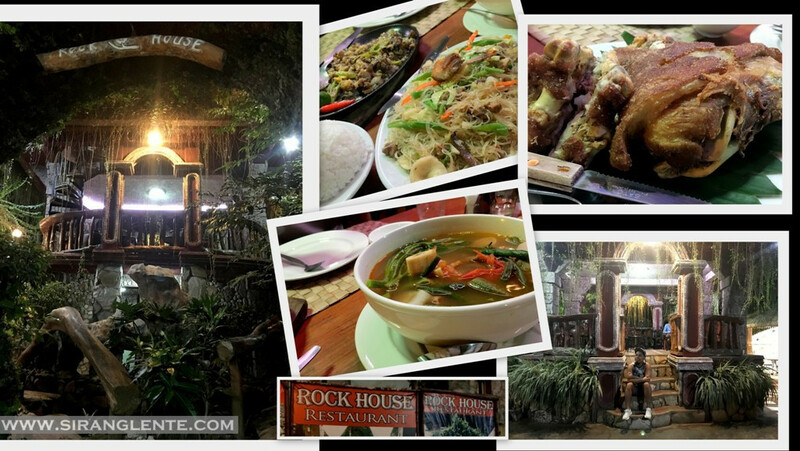 We had sisig, pancit, crispy pata, sinigang na bulalo and more rice. What's the best? It was sisig and sinigang na bulalo. After the sumptuous dinner, we headed back to Manila. And to take care of our dentures, after eating, the best thing to do is to visit our dentist to have them checked. Did you know that Dent Alert is one of the best Dental Clinic in Antipolo, Rizal? Not only that, Dent Alert is accredited by Maxicare, MedAsia, and Affinity Health & Wellness. For services offered, enquiries and schedule, you reach them at 0917 884 4083 or call 668 5029.